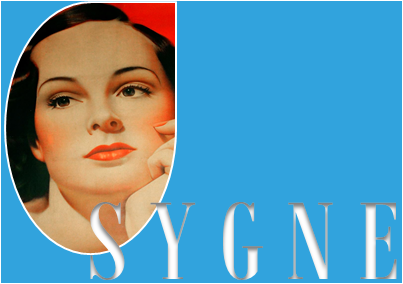 Given the global nature of the conversation and the international dimension of the Cercle International d’Anthropologie Psychanalytique (CIAP), of which Sygne is the principal voice, it was imperative that we move quickly to offer to our readers this issue called Babel to prove that Sygne is indeed multilingual. Here it is. I hope that this issue will contribute to make accessible through the languages Freud’s insights into the torments of modern man, whose profound specificities are attested to by the manifold symptoms and phantasies that we encounter in our clinical work as well as by the wide diversity of the expressions of discontent in modern civilization from which they arise. This link is inevitable, given that the subject of the unconscious is a function of language, of the myths and rituals, the structures of kinship, but also the socio-historical movements, which in order to become meaningful require a cross-fertilization between what can be brought to light in the psychanalytic experience and the advances of the other social sciences (history, sociology, ethnology, etc.). The sum of these interactions culminates ultimately in what we call psychoanalytic anthropology and which is nothing else than a new chapter of psychoanalysis written with the collective in mind, where we respectfully join the great tradition of Freudian texts from Civilized Sexual Morality and Modern Nervous Illness over Totem and Taboo and Collective Psychology and Analysis of the Ego to The Man Moses and Monotheism. Lacan’s affirmation of this Freudian perspective is undeniable, given that he affirmed Freud’s desire in its totality. The latter thus returned articulated through Lacan’s voice first in Paris and then on the global scene, where we modestly but determinedly place ourselves, given that it is primarily this return that orients our work. We do so not primarily because of transferential loyalty, but because we see in following the paths leading from Freud to Lacan everything that the latter bring to the effort of updating the impacts of the symbolic contortions that accompany the historical evolution of Western civilization inasmuch it they affect the formal envelope of the symptom. Similarly, we owe to Lacan’s work several crucial clarifications of some of the great questions that Freud left us, sometimes, partly at least in a state of stalemate, such as, for instance, the question of psychosis or the feminine question, which were constantly worked through by Lacan according to the rhythm imposed by the different periods of his research, which passed notably from a sociological period through a structuralist period and finally, perhaps, a logician period.